IVECO Defense is an Italian sub-division of IVECO who develop and manufacturer military vehicles based on IVECO commercial truck chassis’s, which they beef up to cope with the modern battlefield. The Italian MAV 5 4×4 Wheeled APC (Armoured Personnel Carrier) is another example of this using an all-welded steel structure mounted on an IVECO 40.10 truck chassis. The vehicle was a joint development between Carrozzeria Bono and IVECO Defence who manufacturer the vehicle. Both driver and commander sit up front with engine in front of them like a normal commercial vehicle. Behind them is the troop compartment which accommodates 4 troops. They have access to a roof hatch, which a 7.62mm Machine gun be mounted. They exit the vehicle via either a single door in the rear or the single doors on both the left and right hand side. The vehicle has racks for various types of hand-held weapons and air-conditioning. The steel structure offers protection against 7.62mm Machine Gun rounds and artillery splinter shells, additional appliqué armour can be added if required. The vehicle is not fitted with an NBC protection system. The vehicle also has a fire suppression system and anti-tear gas filtration system. 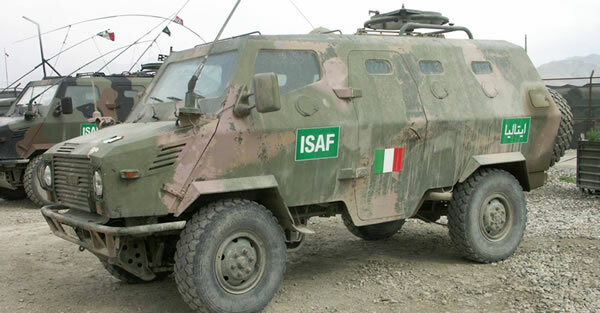 Italy took delivery of 200 vehicles and deployed it on various peacekeeping missions during the Balkans Wars as well as Somalia. Its also used by the Italian Police Force. 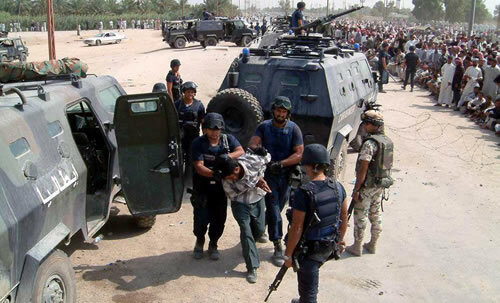 United Arab Emirates use a version of the vehicle called Terrier.